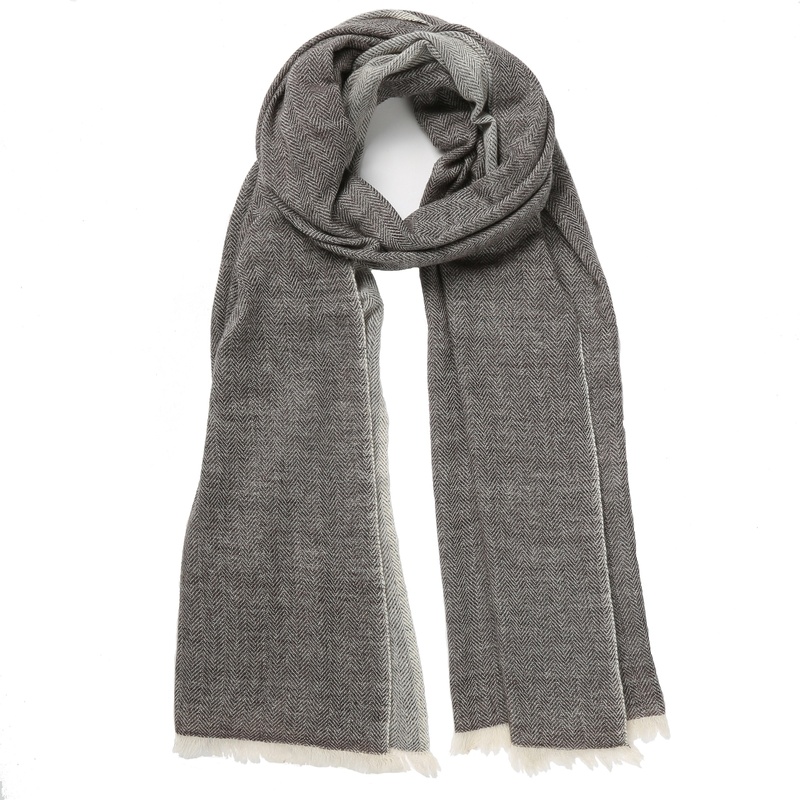 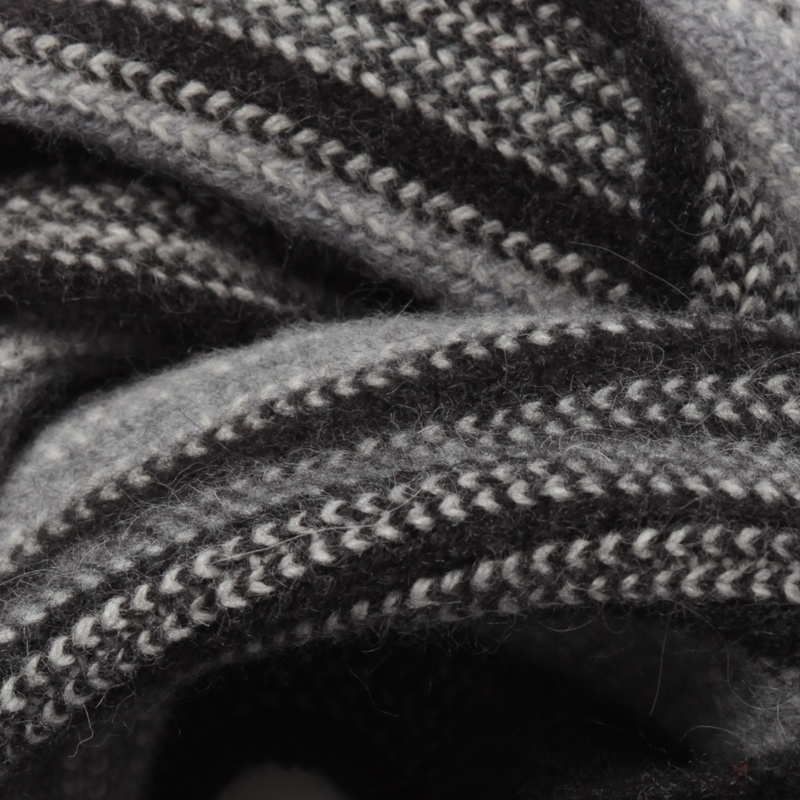 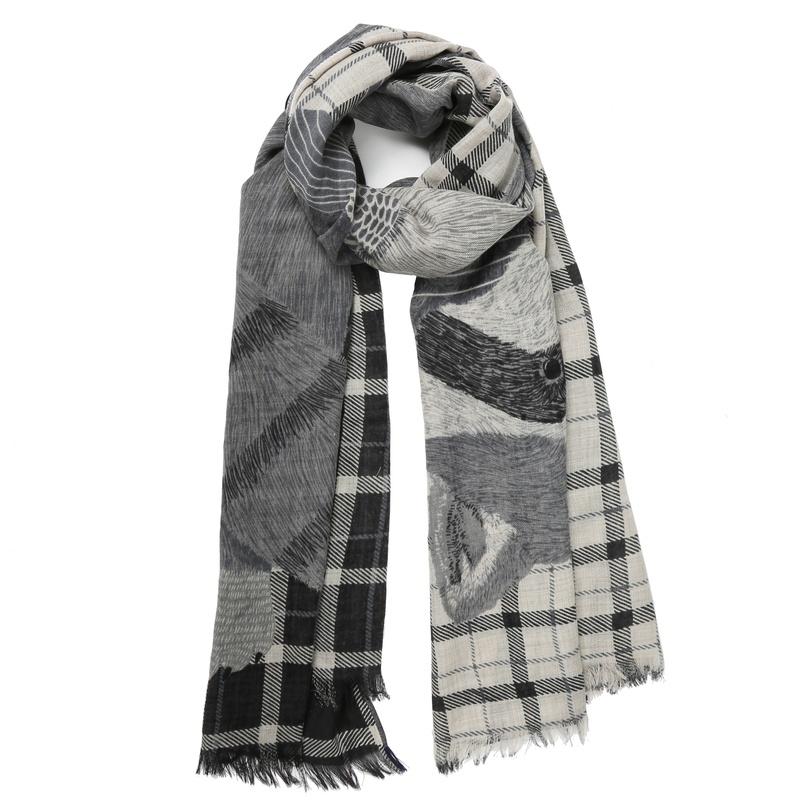 This men’s grey scarf is knitted from a blend of merino lambswool and angora and is made in Scotland. 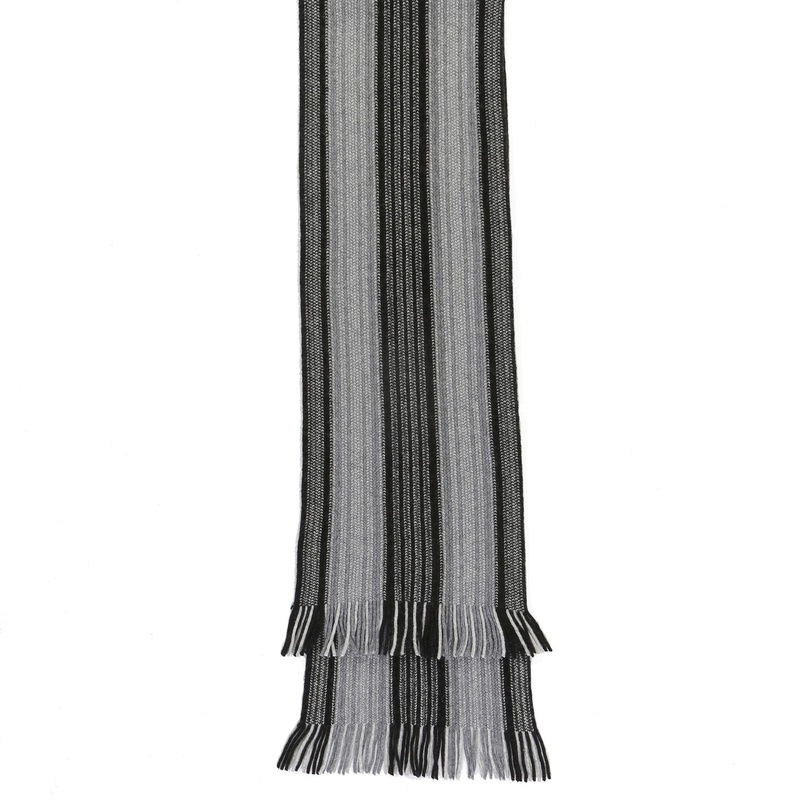 The contrasting ivory and black stripes lend it an interesting detail while the ends are finished with black and grey tassels.. 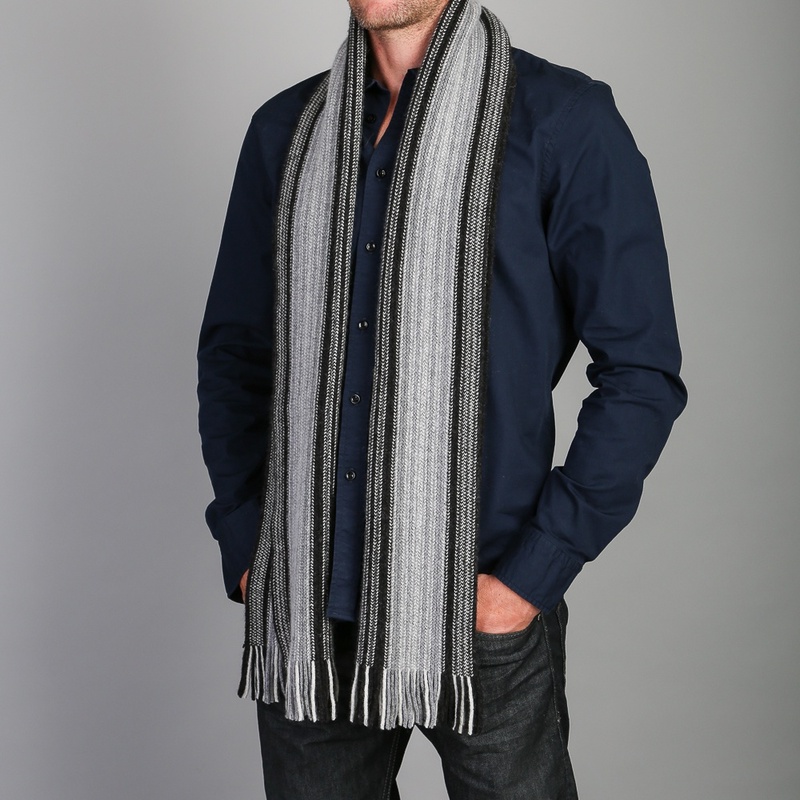 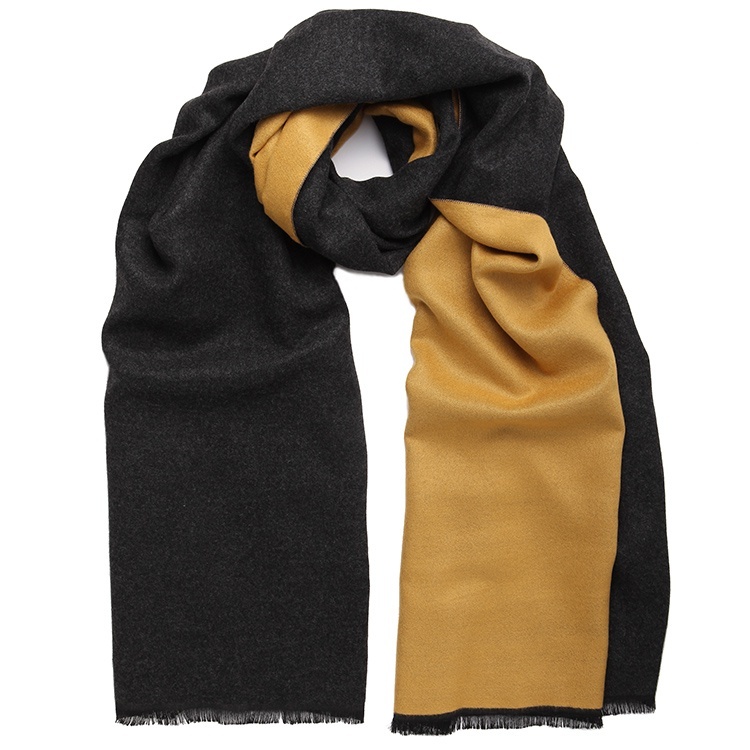 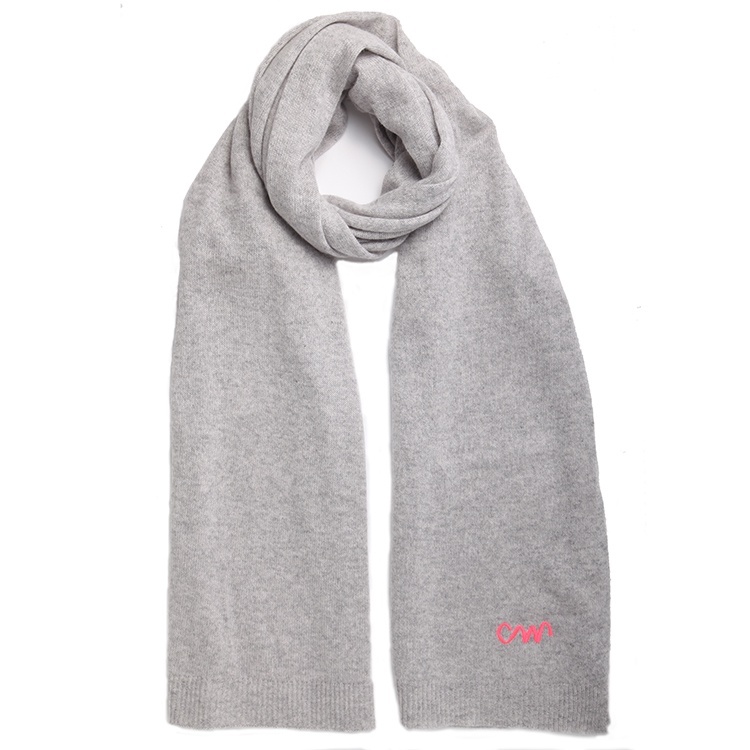 The scarf is medium length and narrow so easy to loop at the neck or tie round once and tuck into a jacket. 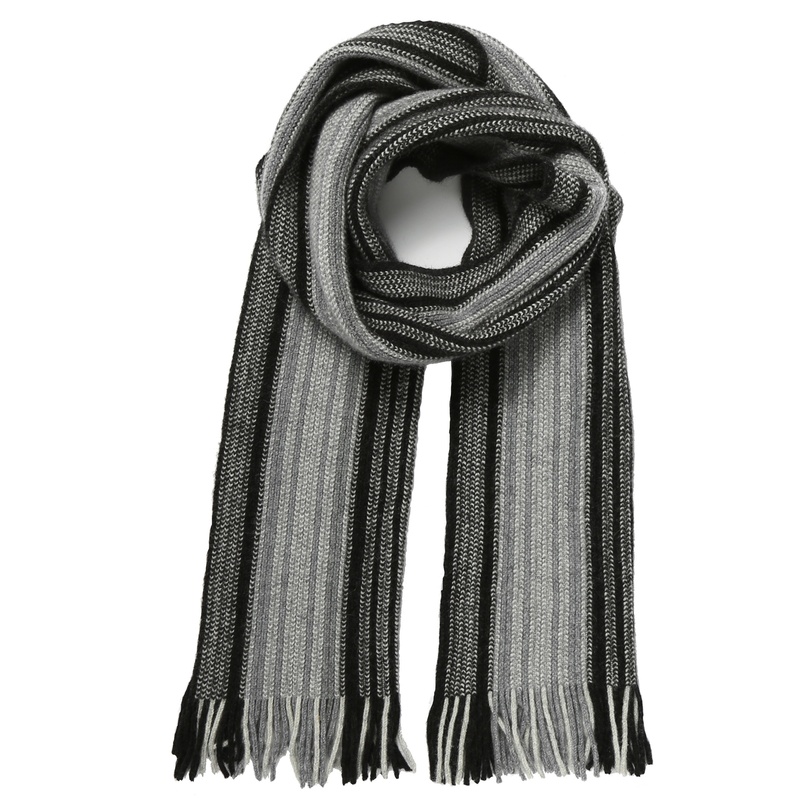 This men’s grey scarf will work as well with a suit or smart coat in town as it will do with a chunky jumper at the weekends. 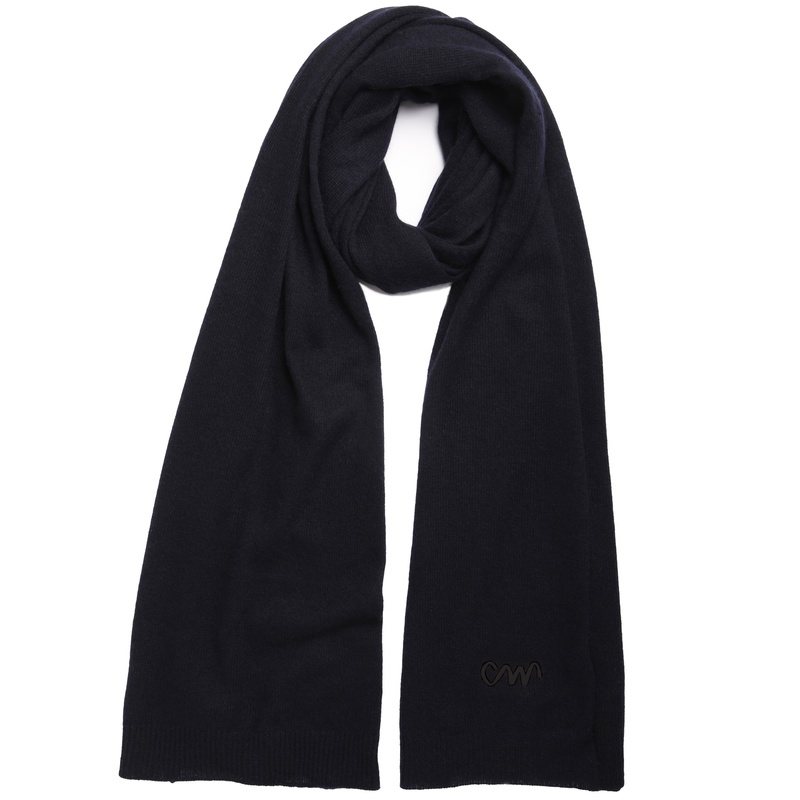 It makes a lovely gift at an excellent price point.